Hailie was born in Victoria on beautiful Vancouver Island and enjoys all aspects of island life. You will likely find her exploring coastal trails, climbing mountains or visiting with friends at a local coffee shop. Currently, Hailie is studying to become a Registered Massage Therapist at the West Coast College of Massage Therapy, and is excited to be providing Wellness Massage at Calm while she completes her studies. Hailie holds a B.A. in Justice Studies with a minor in Criminal and Immigration Law. Hailie has always searched for a career where she is able to support others, especially those who are feeling vulnerable and hoping to better themselves. This, coupled with her history in athletics and an established interest in health and nutrition, guided Hailie towards a career in Massage Therapy. Hailie enjoys listening to her clients’ stories and using Swedish massage techniques to create an experience specific to each clients needs. Every individual deserves to live a healthy life and Hailie believes wellness massage can contribute to accomplishing this goal. 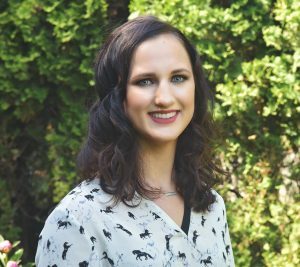 Hailie is a strong advocate for massage in healing the body and mind; her hope is that her clients fall in love with taking care of themselves. Click here to book an appointment with Hailie.